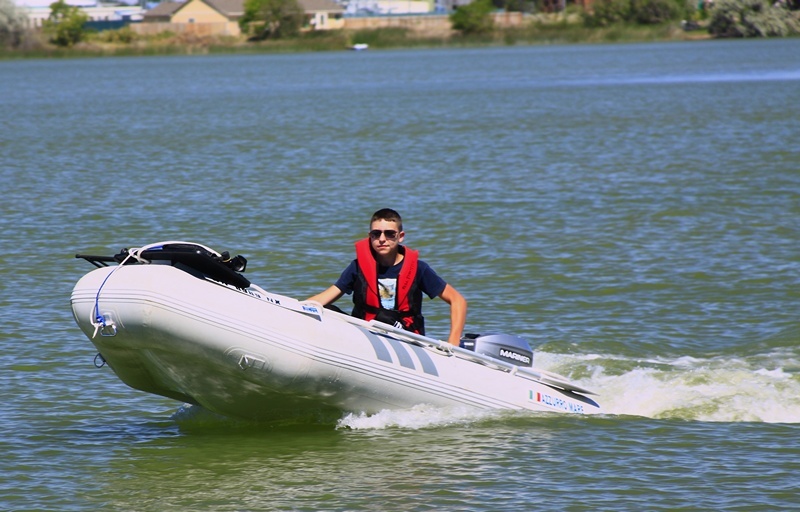 Customer review of Azzurro Mare inflatable boat. HomeBoatsToGo - Blog About Inflatable Boats, Inflatable Rafts, Inflatable Kayaks And More...Customer review of Azzurro Mare inflatable boat. 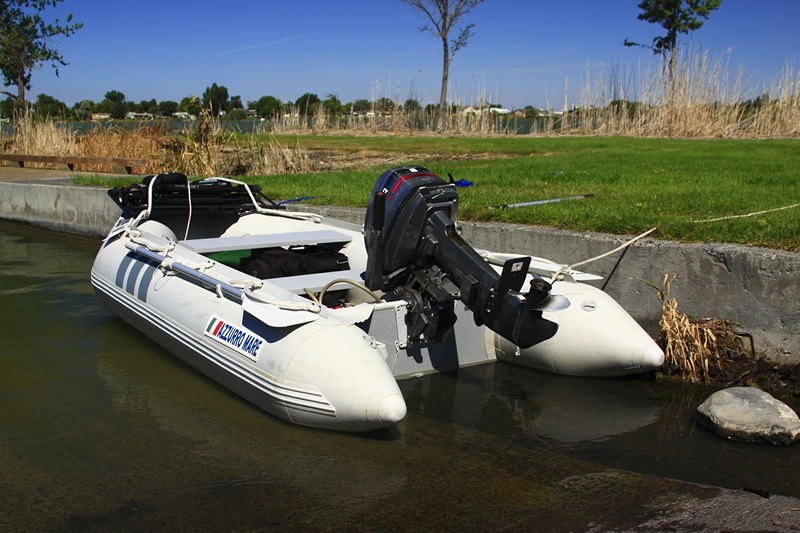 "We bought this inflatable boat back in 2008 to have a very flexible tender that we can take anywhere in a car; and to be able to launch this boat from almost anywhere without needing a ramp. This is a good inflatable boat, built like a tank very stable. If you want a boat that will jump on big waves left by bigger boats, you will need a good size inflatable boat, though for us a bigger sized boat and engine would be too heavy. Convenient size, VERY good in shallow water. 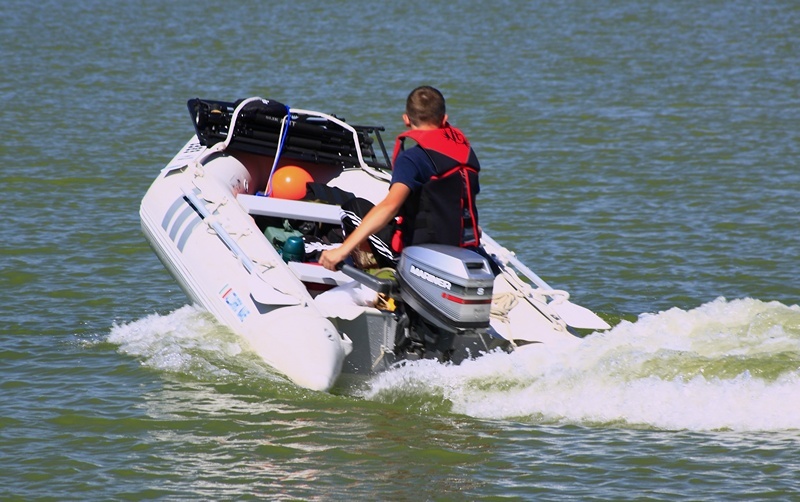 Can go against current with outboard (8 hp Mercury Mariner 2-stroke) very easily, whereas in a kayak, to travel the distance we do, you would need an extra set of arms, as it would be too tiring. On very fast rivers, can go very easily against the current with this engine. It is not fast with this small motor, but enough power and torque to go. Where aluminum boats could not go, we went in this inflatable motor boat. When the water is to low for the outboard, we tilted the outboard and kept going. When the water would get too shallow for the engine, we kept going with oars. When water is too shallow for oars, we got out and towed the boat to deeper water. Though practice is needed for fast inflate/deflate procedure." "After lots of research, comparing prices and changing my mind of what I wanted to get me out on the water, I decided to buy the inflatable sd365. I have had it for approx 2 years. When I first came I remember picking it up from delivery and was..."
"I had saturn boats for years, and I am very happy with it." "This is our first boat. We have 14' SD430 Saturn. We've had it out five times on four different lakes. The first time was on a pond with a 40lb thrust (used) trolling motor- Such a relaxing afternoon... The next three times was with a..."